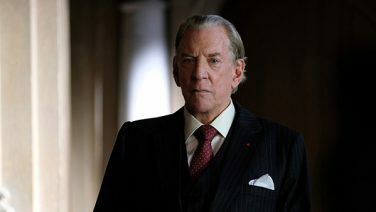 Told over multiple seasons and spanning the twentieth century, the series begins in 1973 with the kidnapping of John Paul Getty III (Harris Dickinson), an heir to the Getty oil fortune, by the Italian mafia in Rome. His captors banked on a multi-million-dollar ransom. After all, what rich family wouldn’t pay for the return of a loved one? 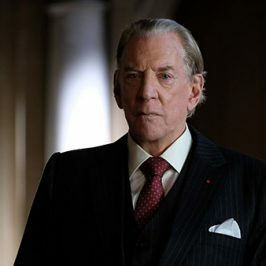 Paul’s grandfather, J. Paul Getty Sr. (Donald Sutherland), an enigmatic oil tycoon and possibly the richest man in the world, is marooned in a Tudor mansion in the English countryside surrounded by a harem of mistresses and a pet lion. He’s busy. Paul’s father, J. Paul Getty Jr. (Michael Esper), is lost in a daze in London and refuses to answer the phone. Only Paul’s mother, Gail Getty (Hilary Swank), is left to negotiate with the increasingly desperate kidnappers. Unfortunately, she’s broke. Trust charts the teenage grandson’s nightmare ordeal at the hands of kidnappers who cannot understand why nobody seems to want their captive back.